I have been looking for a good winter backpack, or heavy load backpack for a while now. My heart has been set on the what I assume is excellent Hyperlite mountain gear porter 4400 packs – but I just couldn’t justify the price. (cost plus import to Sweden would push the pack to around $500) Don’t get me wrong, I don’t mind paying for a good product, but as I won’t be using such a large pack year round, the cost couldn’t be justified. 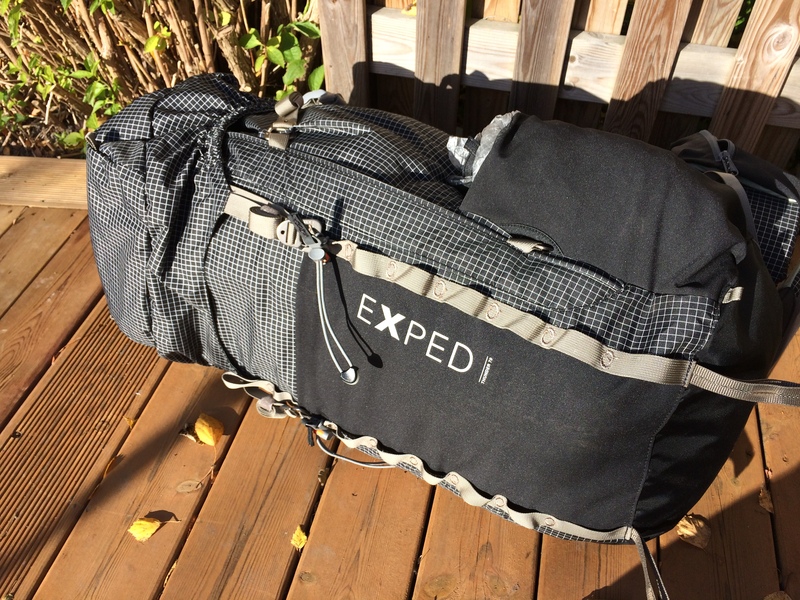 After looking around a bit I ran across the Exped thunder 70L backpack, which here in Sweden at the moment is around $200, so I thought I would give it a shot. The pack is 70Liters with an adjustable frame that fits even my large torso (not always the easiest task to find). 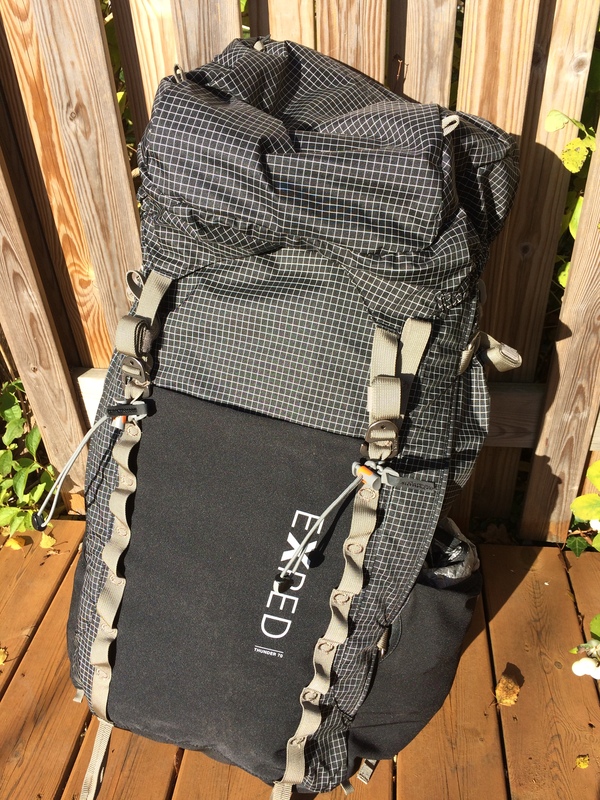 On top of that I have a lot of respect for the designers over at Exped as I feel that over the last couple of years they have really been making some ground breaking products… Just not ultralight. 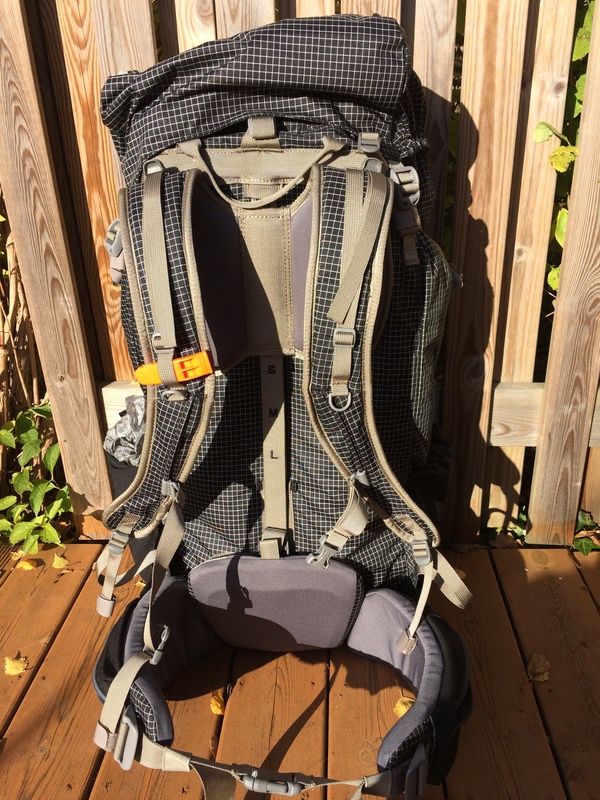 As stated this pack weighs 1560grams (3.4lbs) which is not ultralight but still relatively light for such a large load capacity adjustable backpack. I think that if you are creative enough and want to hack off a few bits and pieces and can live without the lid you could probably get the weight down to under 1300grams or 2.8lbs. I haven’t tried this yet, but it will be my next step as I have already decided to keep the pack. Like most of Expeds products the Exped thunder is superbly designed. 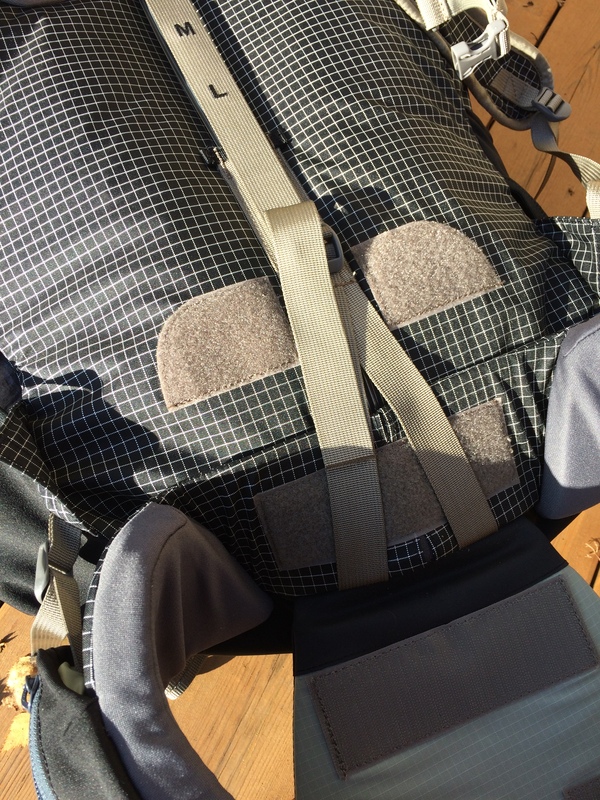 It has all the features that most people want (side pockets, large front mesh, adjustable frame, frame and for me the large entries into the main pack itself). It also looks pretty damn nice as well, I have the black version which I guess is black.. though I would call it more checkered. I love that big opening.. This is what all packs should have! What good is design if it doesn’t function – This is where the Exped thunder really excels in comparison to other traditional backpacks. Though it has minimal design, everything it does have can and will be used. Everything is functional. The side pockets on this one a normal sized human can actually use. This is something that almost all traditional pack makers don’t seem to care too much about. I don’t know how many packs I have tried where I thought the design must have come from the 10 year old vietnamese kids who sew the packs. (Osprey, Fjällräven Kajka among others). Hip belt pockets that can carry more than a single snickers bar! Progress! As everything else with this pack the frame and hipbelts work in perfect combination with each other to create a pack that feels amazing on the back. Granted I don’t have 30 kilos of gear to test the pack with, but I have walked around 60 kilometers with 20 kilos on my back and it felt excellent. The aluminum frame on the exped thunder keeps the pack perfectly balanced on my hips with just barely touching my back. Meaning lots of airflow on my back, which in turn means no sweating and increased comfort for longer hikes. Compare this to a lot of packs that sit tight and snug on your back… I am usually drenched after just a few kilometers of walking. Not so with the Exped Thunder. This pack is also unique among packs in the fact that it is a long, small pack instead of the typical short and fat pack. This is excellent in my opinion as it keeps the packs center of gravity closer to my core and upper body. Most packs traditional or ultralight, tend to be short and fat, which pushes the center of gravity further behind me making my lean forward more to keep my balance. Also, because my packing is usually ultralight I find that when I pack everything in your traditional two frame pack (where there is support on the left and right side of the pack) certain equipment as a habit of poking me in my spine. The center frame keeps everything off my back without me having to care about how I pack it. Long and small – keeps the center of gravity close to my body. I think the Exped thunder 70liter pack is the best designed 70 liter pack available right now. I love the features and the large main compartment entry way. This just allows me to get at all my gear without having to unpack everything. On top of that for the first time in many years (as long as I can remember) I was able to walk long distance without getting pain in my shoulders. The pack just keeps all the weight off my shoulders without any discomfort. 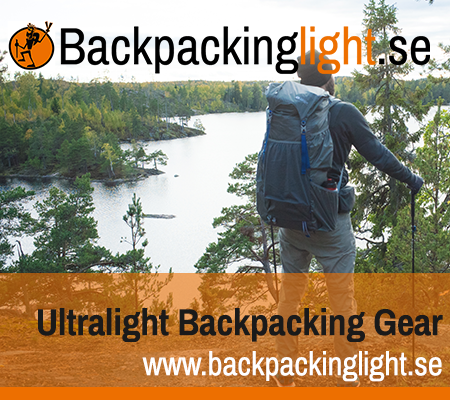 Considering that here in Sweden the pack costs just $200, can be bought in most stores, adjustable frame, 25 kilo carrying capacity, 70liters and great design to boot. 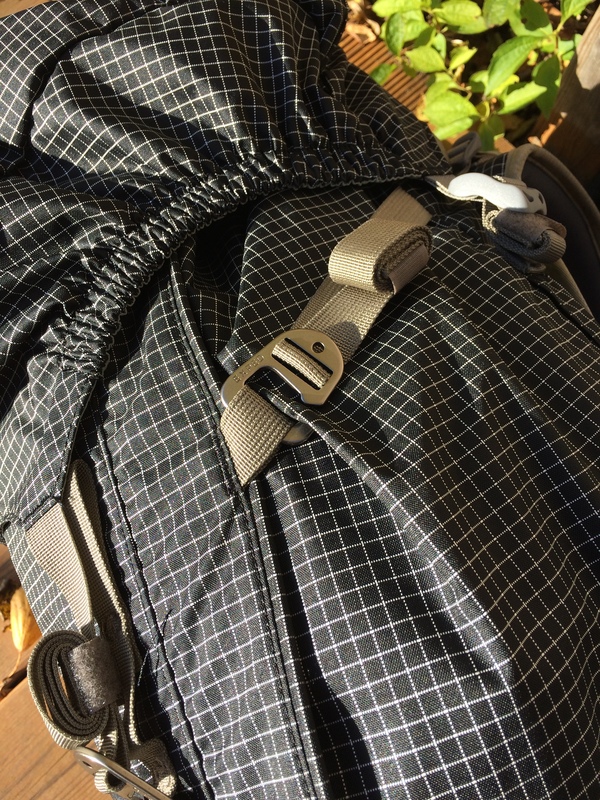 It’s hard not to like this pack, and for me with a few minor adjustments (taking off the lid, cutting off some extra cordage and so on) it’s actually on the short list of being my long term solution for my longer hikes and winter hikes where I need to carry more weight. I really enjoy having this pack on my back. Heres my problem with the pack though: Like all of Exped’s products that are so close to being the perfect products, the Exped thunder falls short of being the ultimate 70 liter pack. If for nothing else than because of the weight. The Exped Thunder doesn’t really appeal to anybody: It is not green or camo, heavy and say “survivor” so it won’t appeal to the traditional Kajka geeks. It’s not light enough to appeal to any ultralight hiker, and from what I read it’s even more expensive than the American made Hyperlite mountain gear products in the USA. It seems to me that the designers made the ultimate pack and the spreadsheet geeks came back and said “wait, you have to add at least 500grams more weight so that this will appeal to a larger market”. It is such an odd pack that doesn’t really fit anywhere. This pack for me is a work in progress: Hopefully the spreadsheet geeks will let the designers loose and create the ultimate 70 liter pack. This could be easily accomplished with lighter materials and less lid. Great product review. The detail and photos give me a pretty good sense of the pack. If my “to buy” list wasn’t already so long, with the price, weight, and features of this pack, it would definitely make the list. Thanks for the write up. Yes, it really is a fantastic pack! it has become my standard heavy load pack. I believe that if anything in your packing is allowed to be a little heavier, a good sitting backpack would be that item. (to an extent.. an 8 pound backpack has no place). A backpack that is a little heavier but has excellent carrying capabilities will make up for it’s extra weight with exceptional comfort. I think the Exped Thunder is just that pack where the extra weight is ok. This pack filled with 30 pounds of gear in it feels better than any “ultralight pack” I have ever used. So the extra weight of the pack is fine. Just came across this blog, nice to see someone from Sweden testing some of the ultralight gear out there in Swedish climates :). 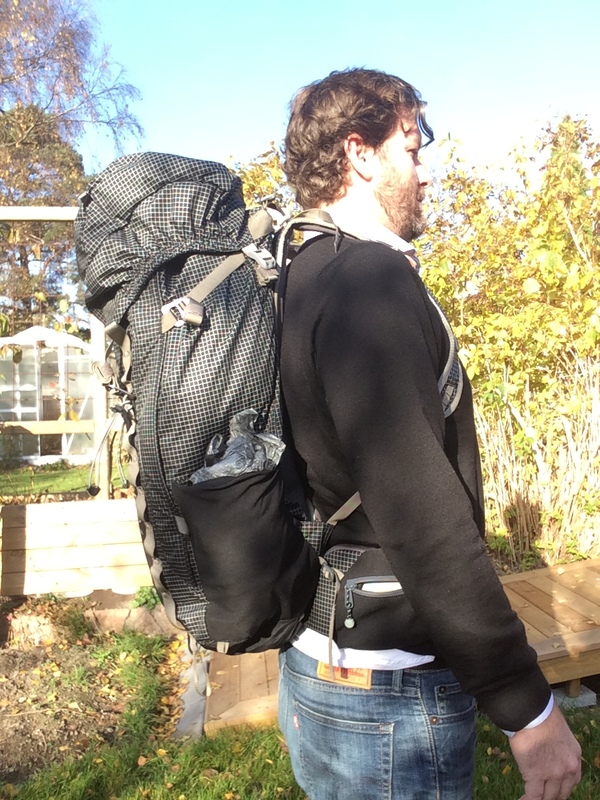 As for the pack, have you considered the Seekoutside packs? They seem to handle heavy loads incredible well. Haven’t heard of those packs.. Will have to check them out! Cool! Thothe Seekoutside packs are more expensive than the Thunder. Hi, the Haglöfs LIM Essens jacket is fantastic – beware though, they have two jackets out with the essens name. The regular heavy essens jacket is just your standard “heavier than needs to be” down jacket, while the LIM essens is a fantastic ultralight down masterpiece. with that said I prefer my down jackets without the hood as I usually bring a thicker insulated hood that I even use when I sleep. On my windjacket I prefer a hood but this is not necessary with the down jacket. Thanks for sharing, even watched your video review. Don’t know if this is intended, but your shoulder strap / load lifter setting doesn’t look quite right. I own the lightning 45 and set correct, the shoulder strap should come very close to your body. This gap at your upper back is usually a misconfiguration. Will get the thunder 70 as a winter pack too. But I think I’ll strip it down as you already mentioned (lid, straps etc). Hi, yes I know about the load lifter.. The main thing for these pics was the bag was empty and I just wanted to show the bag on my hips. I didn’t even think about the lifter for the pic, why it looks so strange. Could you specify your length(very important), I’m looking at the thunder 70 but I’m 1,92 m and hope it would fit. Most 60 l packs are not fitting me with my 1.92m so I need to go for a bigger volume in order to get the right torso length. Thanks for the reply on your height. A hyperlite mountain gear windrider 4400. 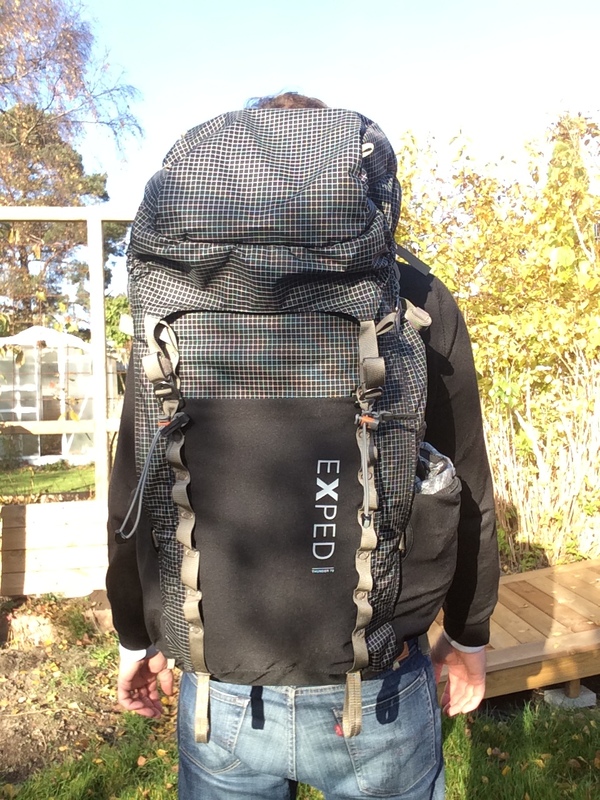 An excellent 70l lightweight pack. Hi, thanks for good review. Just wondered if this 70L includes the volume of the side pockets, belt pockets and top pockets, or is it the volume of the main body only?